Limited time offer for Home Cleaning in Toronto -- 30% off your first booking! At Handy, we take pride in connecting Toronto residents to professional and friendly Toronto home cleaning services. If you don’t have time to do your cleaning chores, why not let a house cleaning professionals take care of it for you instead? Whether you need a weekly house cleaning or even just a monthly one, we’ll connect you to the best house cleaning professionals available in Toronto. Blanca was incredible. She completely blew my expectations out of the water !! I will 100% be requesting her. Thank you Blanca M.
The professional arrived 45 minutes late. She cleaned everything perfectly but she was late and very tired. Lori accomplished more in two hours than I ever could! The condo smelled fresh and wonderful when I got home. Thanks! Marina worked hard and did a good job but she ran out of time and couldn't complete the tasks I usually get done with other professionals. She was great! Even cleaned surfaces that I rarely do, like the front of my fridge! Unloaded dishwasher too, which was nice. Thanks! Tenzin did a very good job cleaning my apartment. Everything I requested was completed and more. Thank you! Glair did an absolutely amazing job cleaning our apartment. The fridge was left well organized and spotless! Completely impressed! Saved me time! I really liked Said, she was very friendly and super quick! she even wanted to do more than I expected her to do. Olivia was amazing - very responsive and so efficient and through. Also very friendly - she truly cares about the service she provides! Why book house cleaning in Toronto through Handy? Because it’s super easy! Book your housekeeping and house cleaning services at the click of a button or the tap of a screen. We can connect you to cheap home cleaning services as early as tomorrow, depending on local availability. Your happiness is our goal, which is why we back up every booking with the Handy Happiness Guarantee for all your home cleaning services. This means we'll work hard to make things right if you're ever unsatisfied with your cleaning services. Home cleaning booked through the Handy platform is affordable as well. When you need cheap house cleaning services, the prices set by cleaners on the Handy platform are significantly more wallet-friendly than other home cleaning companies. Plus, with our electronic payments platform, there’s no need for you to go to an ATM to find cash before your scheduled home cleaning appointment. Once you've set up a cleaning plan, just sit back and relax and a cleaning lady or cleaning man will arrive at your home at the scheduled time. If you do need to change your house cleaning booking for some reason, just give us at least 24 hours’ notice before the scheduled time and we’ll reschedule for you with no fuss. We also appreciate that it may seem daunting to allow a stranger into your home, but rest assured, all our top-rated local professionals are background checked. They’ll also arrive with their own professional cleaning supplies, so you won't have to provide any equipment for your Toronto house cleaning. 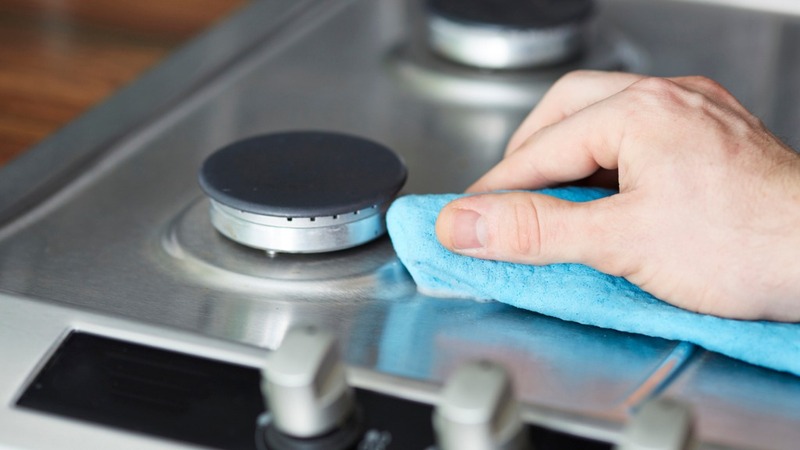 We can also arrange deep-cleaning extras like laundry and cleaning the inside of your oven for a small additional surcharge. Who are Toronto home cleaning services booked through Handy for? Handy is here for anyone who wants to live in a comfortable, tidy home. Whether you’re looking for a quick apartment clean or a more thorough house cleaning, we’ve got you covered. We’re proud to connect you to top-rated cleaners across Toronto. Whatever you require, we’re committed to helping you find the best cleaning services in the city. When you book your Toronto home cleaning services, you’ll regain control over your life. If you find it challenging to balance your work and family commitments, now’s the time to let the best cleaning services in Toronto help you achieve a better work-life balance. Instead of using up your free time to mop and dust your home, take some time for yourself this weekend while your Toronto house cleaner takes care of everything. Imagine what you could be doing instead of vacuum cleaning! Spend more time getting out there and exploring The 6, whether you’re heading out to High Park or even playing tourist and going to the top of the CN Tower one more time. If you commute downtown every day from areas just outside the city, you know how busy the roads can be. It may take you well over an hour just to commute, which is why relying on a Toronto home cleaning professional to take care of your household chores can be a lifesaver. Perhaps you've recently started a family and need a professional weekly house cleaning in Toronto? Or maybe you lived in a shared house and are just sick of cleaning up after your roommates? Then now’s the time to book cheap house cleaning in Toronto through Handy. Whatever you need, we’ll connect you with the best cleaning services in Toronto. Look forward to more free time and a higher quality of life when you book a Toronto home cleaning through Handy today!